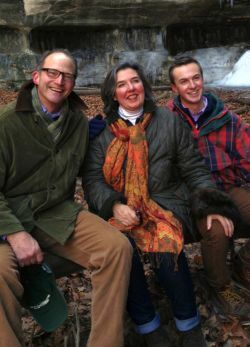 Beau and Nancy Kimball are frequently cited architectural and garden antiques experts who have spent most of the last twenty-five years traveling around the world consulting, buying and selling for commercial and private customers alike. The first ten years of Beau's career was spent working his way up to managing partner of Chicago's Salvage One, the largest architectural salvage company in the U.S. at the time. Nancy got her start at Polo/Ralph Lauren and moved on to director of consignments at Leslie Hindmann Auctioneers, a major midwestern art and antique auction house. In 2000, Beau and Nancy packed in their city lives, decided to follow their dreams and opened Kimball & Bean Architectural and Garden Antiques on an historic 1830's farmstead fifty miles northwest of Chicago.